​This class brings mommies-to-be and moms with new babies together to bond over this incredibly transformative moment in their lives as they welcome their home their children. Led by our prenatal, postnatal and new baby expert, Holly Flanagan, Bellies & Babies combines the relaxed, social atmosphere of a new moms support group with a structured weekly topic. We believe in all healthy parenting styles, and love to facilitate discussion between different methods of parenting. This is a judgement-free zone, and we welcome all mothers exactly as you are. Ages: Best for pregnancy through 3 months old. And any topics that are important and relevant to the group. In this first music class, we introduce babies to class structure, learn new songs, and make new friends. Sara will lead babies and caregivers in songs, gentle movements, stories, bubbles & baby-friendly play. We combine a structured circle time with songs, lap bounces, props and parachute with a different developmental play activity each week. Lots of sensory play, some beginning process art, & pretend play. Instructors are there to lead discussions on Child Development, so questions are welcome! We end each class with a storytime and bubbles. Marcy Yellin of Music with Marcy​ leads this perfect afternoon music class. Accompanied by the magical sounds of Marcy's guitar, children sing and play with musical instruments, scarves, sticks, bubbles and the parachute. Through music, children learn rhythm, listening skills, language and counting as well as strengthen their dancing muscles! Yoga for babies and infant massage. Light stretching for parents, but main focus is on bonding and baby development. We end class by making coffee/tea an allowing parents to chat and get to know one another. Let's move our bodies, older babies! 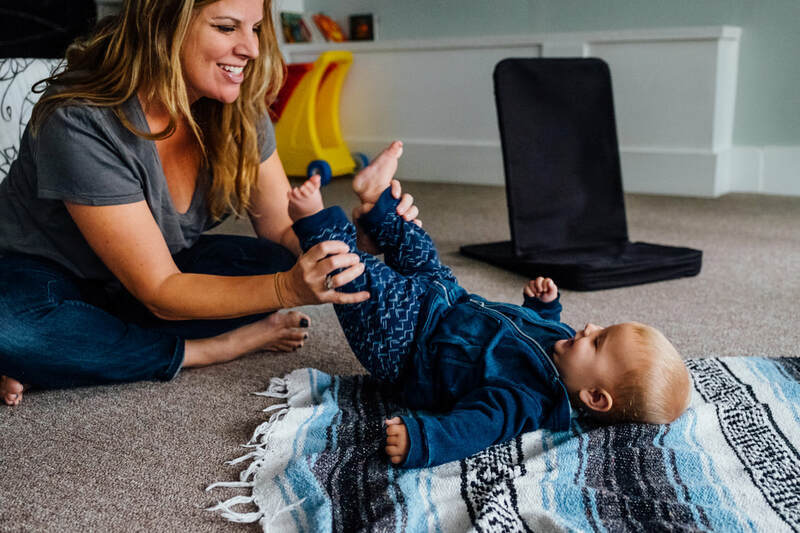 From the teacher and creator of our popular Toddler & Preschool Yogini class, Lindsey Kravitz Olson, comes a new class designed for babies who are scooting on their tummies through early walking. Through music, movement and engagement, babies have fun while developing gross motor skills, balance and coordination. We will combine simple yoga poses, singing, dancing, and props appropriate for crawlers and earlier walkers. The class will end with 10-15 minutes of free play with various toys and tunnels to allow for socialization and play. ​Parents can get a good stretch in too!